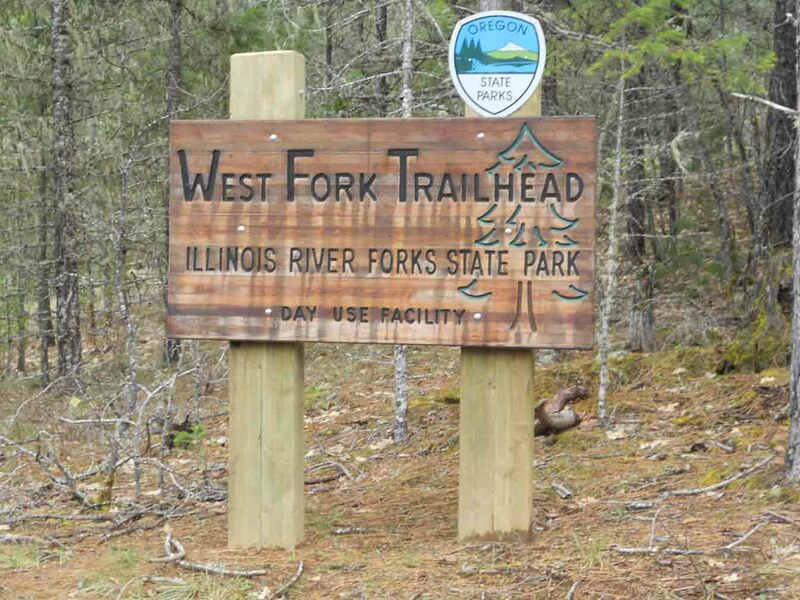 Illinois River Forks State Park has trails located on both the east and west side of the park. The westside network of loop trails is accessed by Westside Road and includes eight miles of trails that go through a mixed forest of conifers and oak woodlands to vista points overlooking Illinois Valley and the Illinois River. 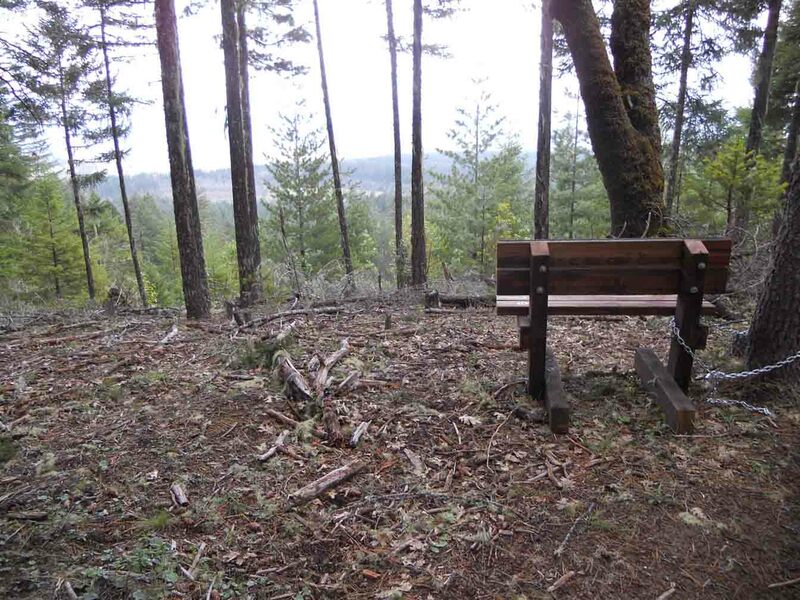 The trail is designed for horse travel but is also an excellent place for hikers to enjoy. 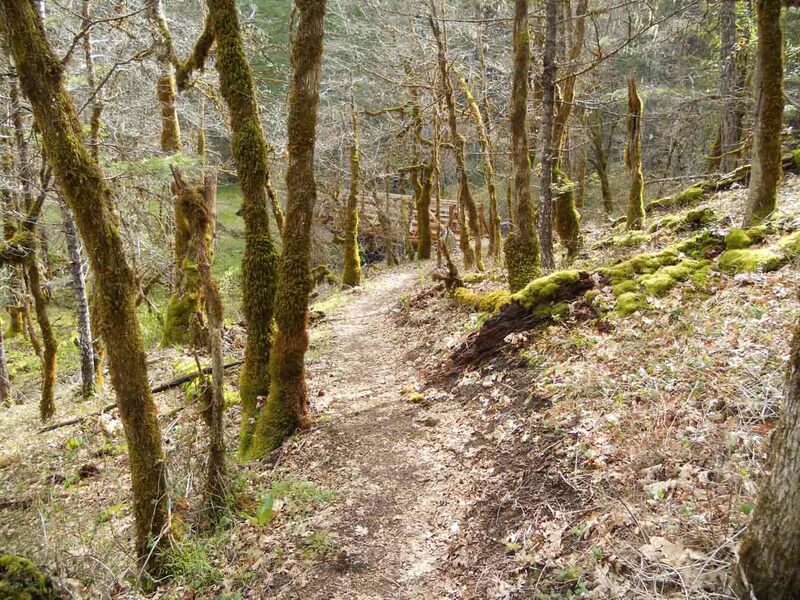 Dogwood trees are common along parts of the trail network making this a place to visit in the spring when these trees are in bloom and fall (late October) when the leaves turn a bright pink. 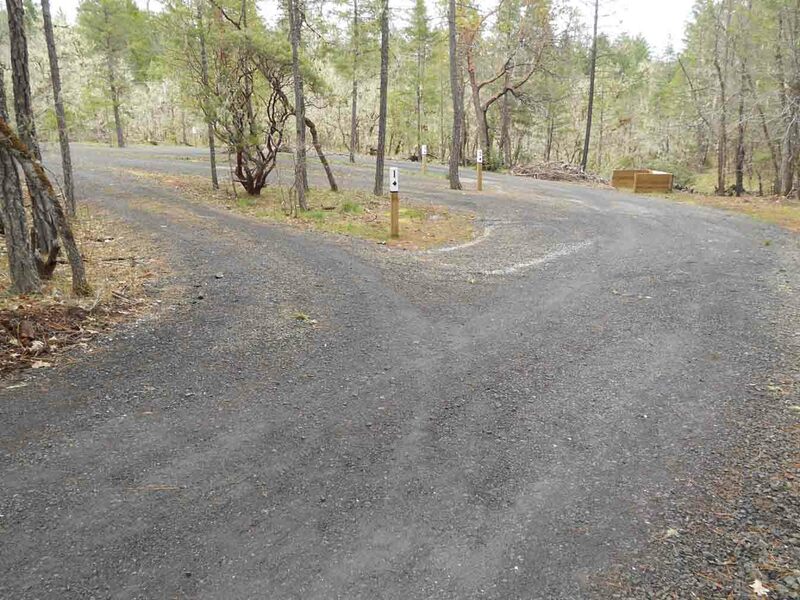 There are two ways to access Westside Road and the easiest of these is the south intersection located on Highway 199 about three miles south of Cave Junction and on the right after you cross the West Fork Bridge. 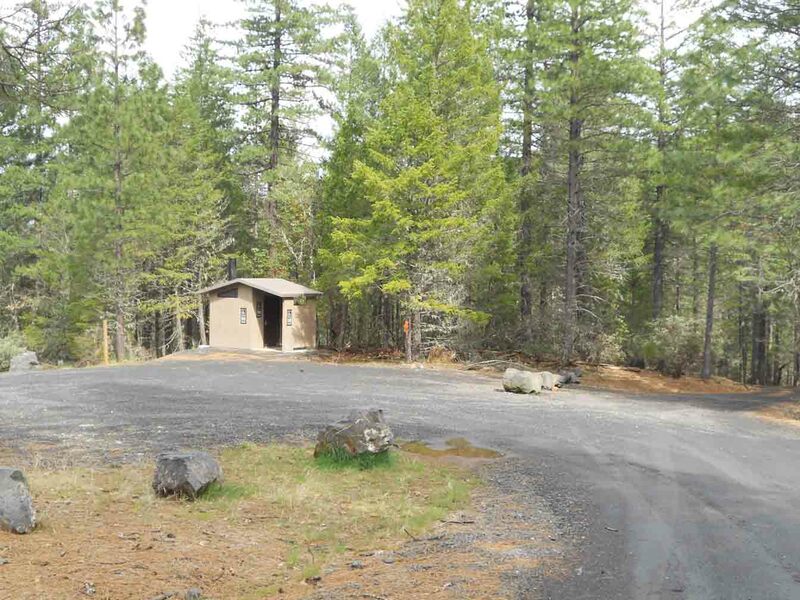 Follow Westside Road for three miles to the trailhead parking area on the right. 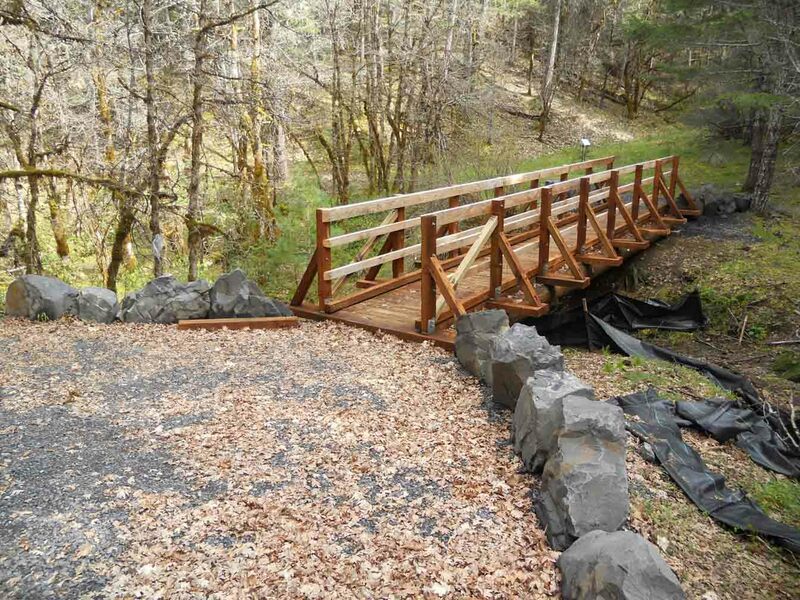 Hikers can expect to meet other trail users riding on horseback. 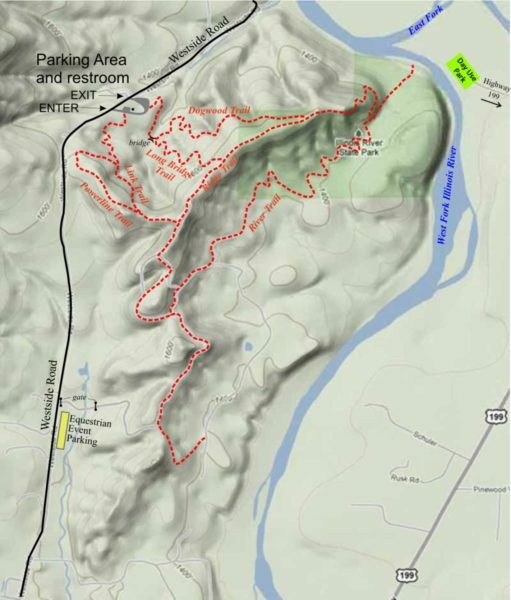 If this happens, please step to the downhill side of the trail when possible. 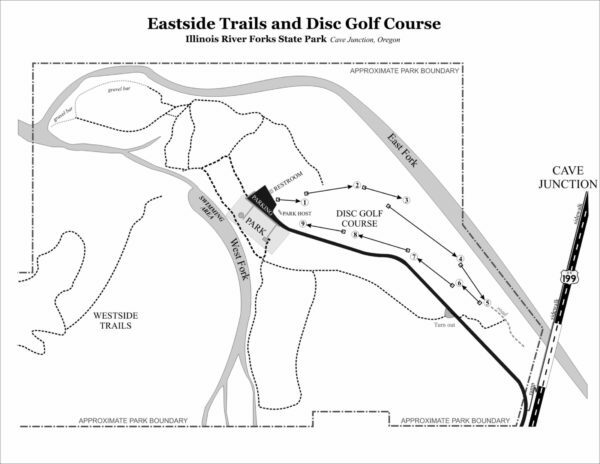 Eastside trails are all accessed from the day use park near Cave Junction.